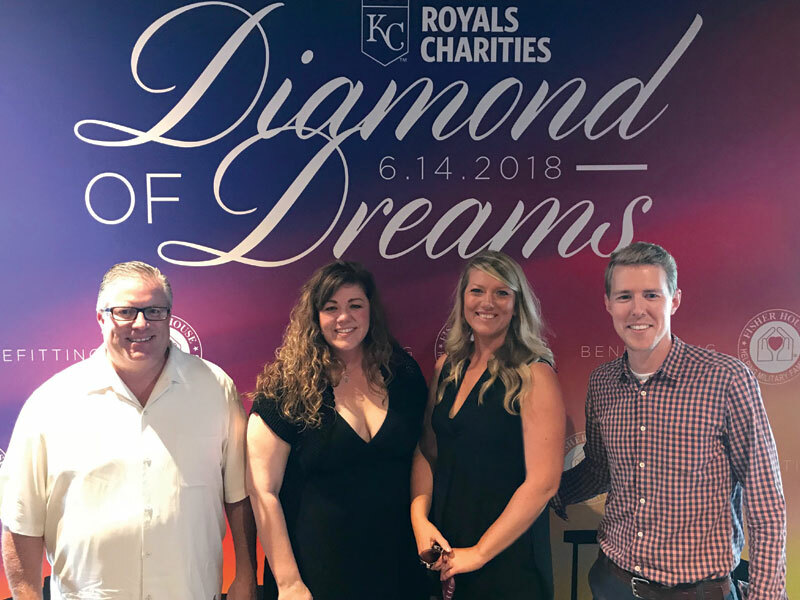 Pittcraft was pleased to once again contribute as an All-Star Level Sponsor for the 2018 Royals Charities Event, Diamond of Dreams. Pittcraft contributed a variety of print marketing, and communications materials to help support and promote the one-of-a-kind event. 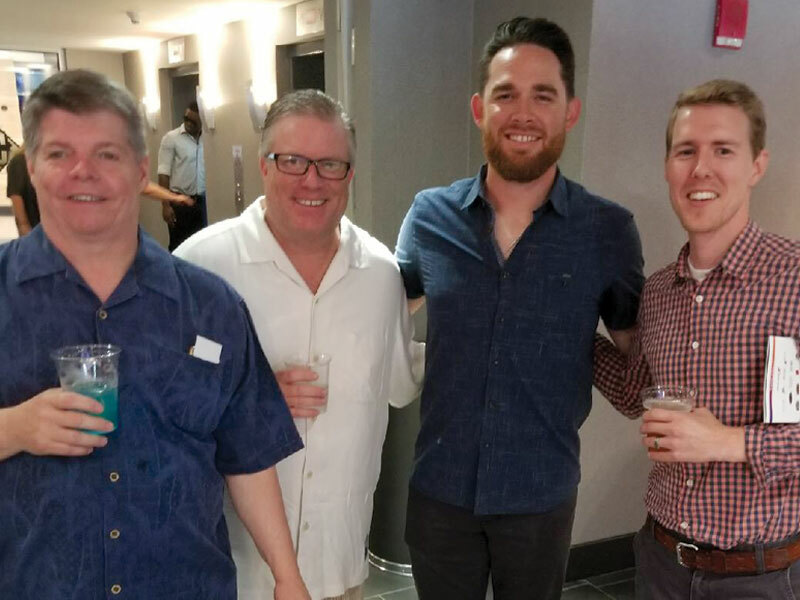 Jake Rudisill, Director of Sales and Marketing at Pittcraft is honored to take part in the event. 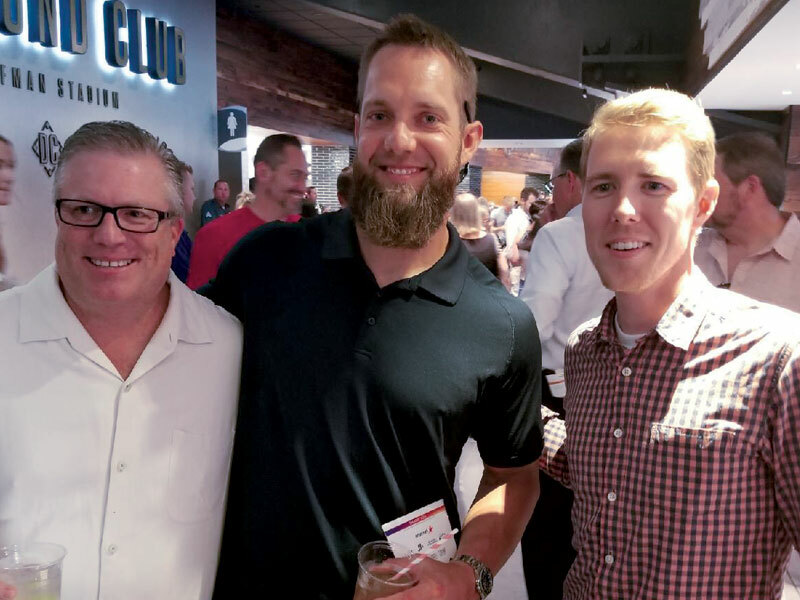 "We're truly honored to have the ability to develop the great partnership we have with the Kansas City Royals organization. 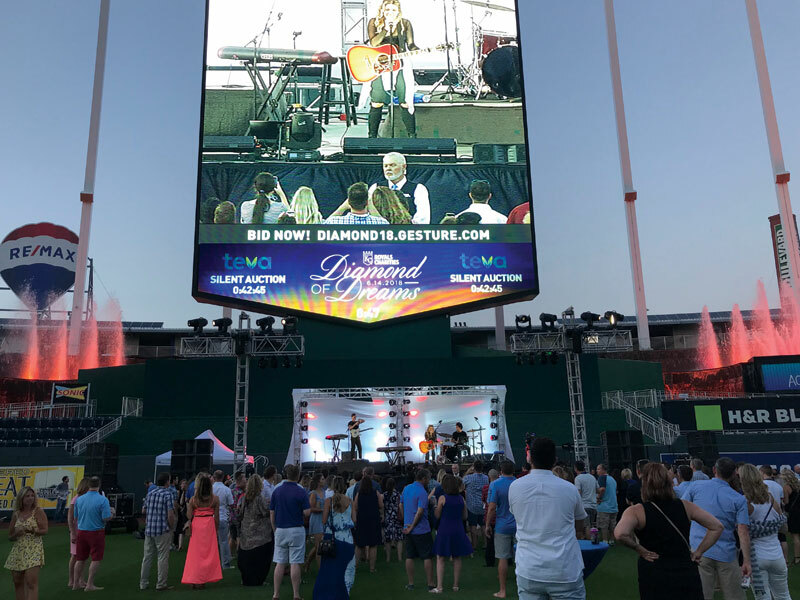 One of the best parts is seeing the amazing work the Royals Charities team is able to accomplish on the field for the event and the contributions they are able to make towards a variety of community organizations each year. We're blessed to have the opportunity to help the cause!" 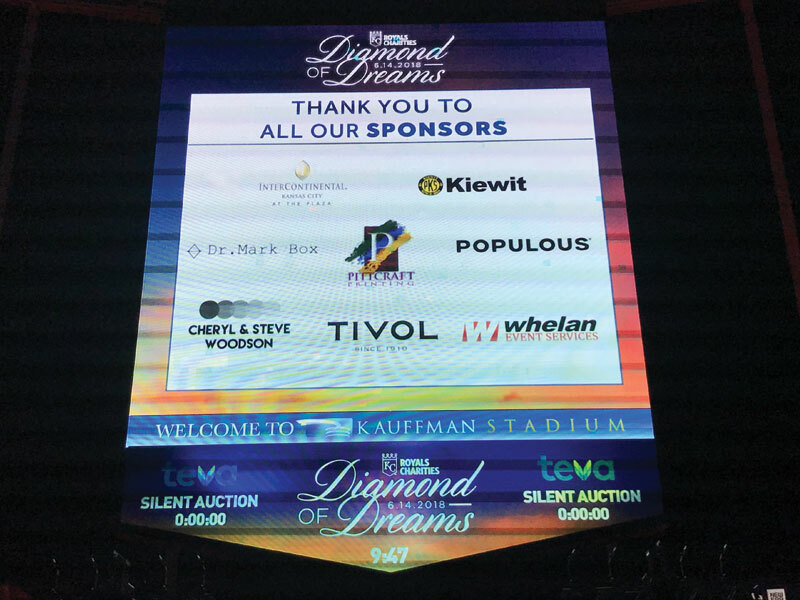 The annual Diamond of Dreams event gives sponsors and attendees the opportunity to take part in a social setting at the K, and the ability to mingle with current and former Royals! 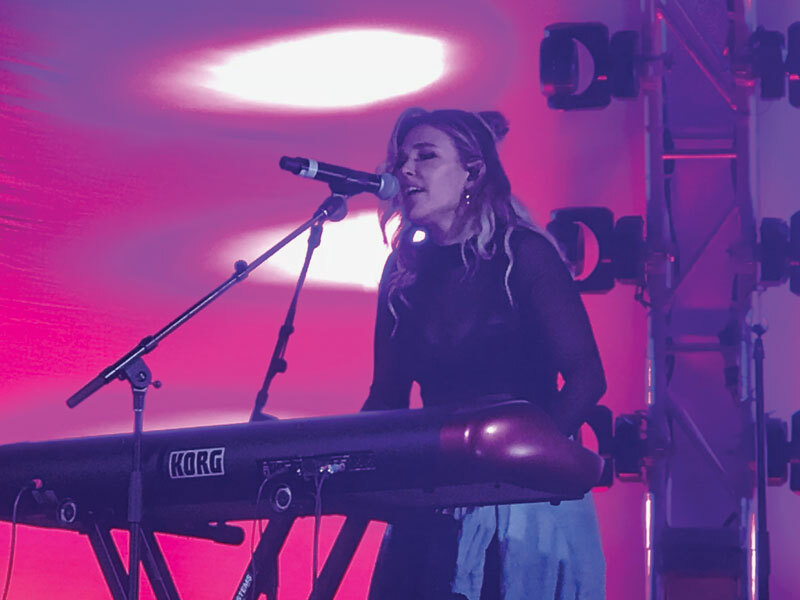 Attendees can sample foods from notable KC vendors, enjoy a live concert in the outfield by Rachel Platten, bid in a silent auction, and a spectacular firework show to end the night. 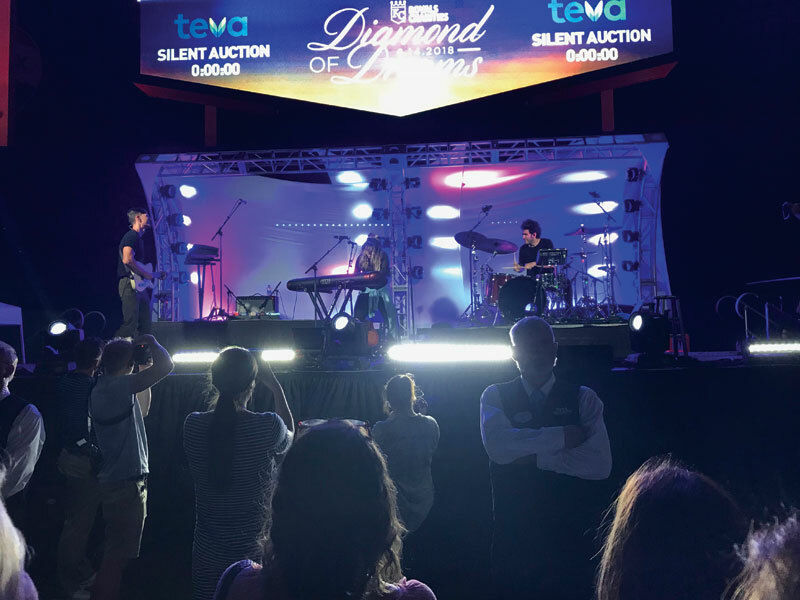 Proceeds from the event went to support the building of a Fisher House in Kansas City. The Fisher House program provides a "home away from home" for families of patients receiving medical care at major military and VA medical centers. The homes provide temporary free lodging so families can be close to their loved ones during a medical crisis. Fisher House. 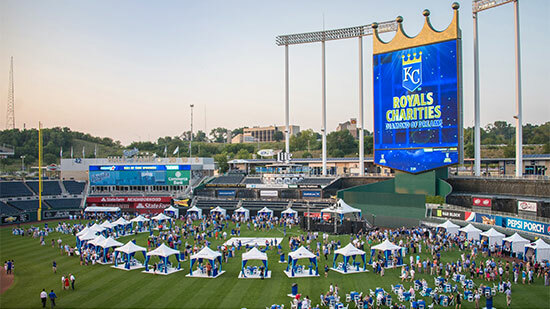 Pittcraft is honored to be the Official Printer of the Kansas City Royals, and proud to be a sponsor of such a first-class event that provides support to great foundations! Any individuals or logo's listed or shown on this page does not represent an endorsement on the displayed parties behalf in any way towards Pittcraft Printing Inc. Nor does it represent any contractual relationship between the two parties. Pittcraft holds no responsibility for any modified content taken from this page and is willing and able to remove any or all content as requested by displayed party(s).